After the crisis event, to return to normal operations. 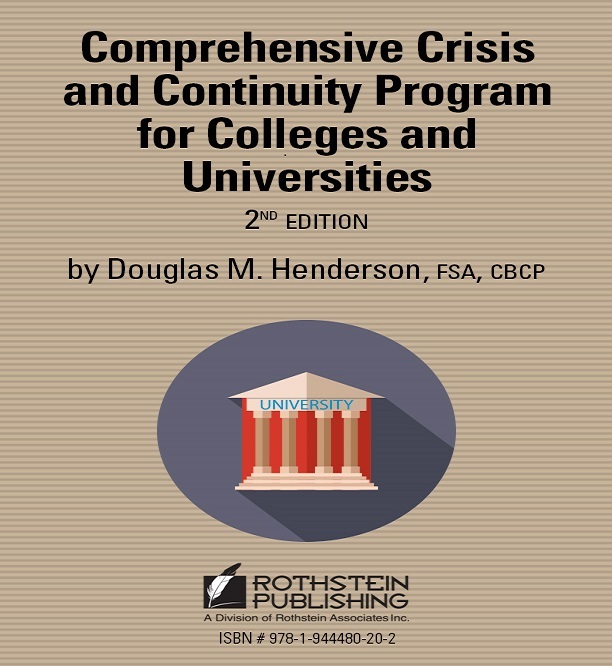 This comprehensive college emergency management program template includes crisis management and continuity of operations (COOP). The planning templates are written in as easy-to-use Microsoft Word format. The planning templates are written specifically for a college and university environment. The development of the templates has evolved over many years and has received extensive field testing in a college and university setting. Mr. Henderson has a Degree in mathematics from the University of Arizona, a Fellow – Society of Actuaries and a Certified Business Continuity Professional. Mr. Henderson is the author of the book Is Your Business Ready for the Next Disaster? and the following planning templates: the Business Continuity Plan for Higher Education, the Continuity of Operations Plan for Colleges and Universities, the Continuity of Operations Plan for Public & Private Schools (K-12), the Complete Hurricane and Flood Plan, Comprehensive Business Continuity Management Program and other planning templates. Mr. Henderson is the coauthor of the textbook Business Continuity and Risk Management: Essentials of Organizational Resilience. 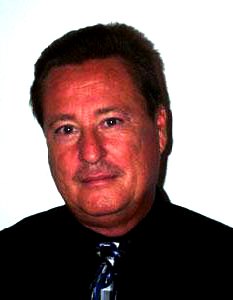 Mr. Henderson is also a frequent speaker and contributor of articles to professional magazines and journals. COOP.2016.doc – The Continuity of Operations Plan (COOP) is the overarching plan for the organization that is designed to prevent disasters or to mitigate damage and rapidly restore normal operations for disasters that cannot be prevented. CrisisPlan.2016.doc – Crisis Plan defines hazard-specific steps or activities to be taken, organized into the four Phases of Emergency Management (Prevention / Mitigation, Preparation, Response and Recovery). CampusSafetyGuidelinesforStudents.doc – A plan or pamphlet for distribution to students that provides guidance in safely responding to emergency situations. CampusSafetyGuidelinesforFacultyandStaff.doc – A plan or pamphlet for distribution to your faculty and staff that provides guidance in safely responding to emergency situations. OnePageSummary.doc – A capsule summary of emergency actions. This information is designed to be posted in every campus classroom, office and room. This information should also be made available over hand-held smart devices.